All Prices are Per Person. See you soon! Our rooms can be rented by the hour, half day, or full day. No supplies are included. Call for further details. CANCELLATION POLICY: Your seat is reserved especially for you! You may cancel up to 48 hours before your session start time and receive an in-house credit towards a future session, or a full refund at your request. If you cancel within 48 hours of your session you will receive a full in-house credit towards a future session. Customers of customized sessions, such as Paint Your Pet, who cancel within one week and up to 48 hours of the start of the session, will be charged a $15 materials fee, the remainder of the cost can be applied to a future session, or refunded at your request. For customized sessions cancelled within 48 hours of the start of the session, customers will be issued an in-house credit, minus the $15 materials fee. "No Shows" forfeit refunds and/or in-house credit. Refer 10 guests who attend a session and receive a half price session of your choice. Don’t forget to ask for your personal punch card! Attend 6 painting or pottery sessions, worth at least $35, and receive your 7th painting or pottery session at 20% off! We often have paint parties centered on a theme, such as an ethnic theme. The painting, food, and music are centered around the theme! Let us develop a painting and party around your child's theme! Call ahead to make arrangements. No minimum requirement. We have Gift Certificates! What a great idea. 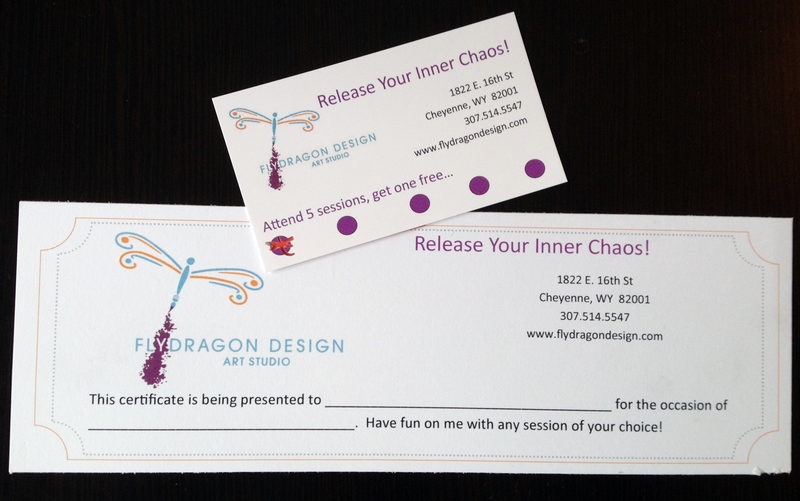 Give a Flydragon Art Studio session as that one-of-a-kind thank you or unique present!